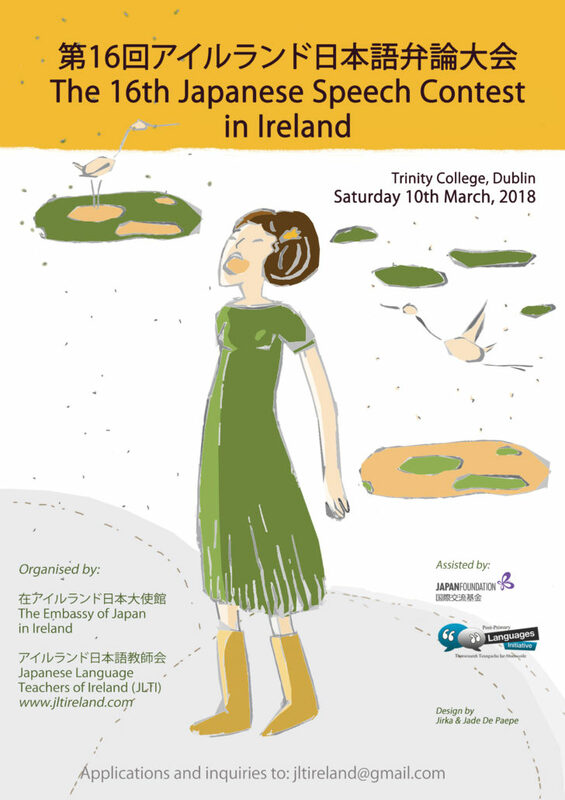 In order to encourage and promote Japanese language education in Ireland, JLTI and the Embassy of Japan in Ireland jointly host an annual Japanese speech contest. 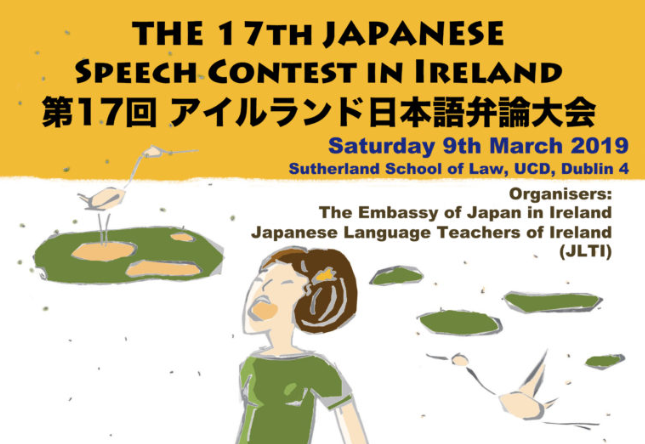 This year the 17th Japanese Speech Contest will be held on Saturday, 9th March at the UCD, Dublin. Please see the invitation to IJA members here! Everybody is welcome and if you are interested to attend, please see event timetable and map here! 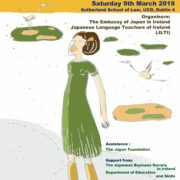 The event is supported by The Japan Foundation, The Japan Business Society in Ireland, Department of Education and Science, Unique Japan Tours and IJA. 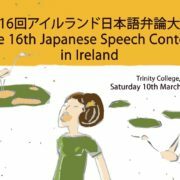 This year the 16th Japanese Speech Contest will be held on Saturday, 10th March in Trinity College, Dublin. Please see original invitation to IJA members here! Ireland Japan Association will use the information you provide on this form to be in touch with you and to provide updates about our upcoming events. You can change your mind at any time by clicking the unsubscribe link in the footer of any email you receive from us, or by contacting us at info@ija.ie. We will treat your information with respect and never pass on to any third party. By clicking below, you agree that we may process your information in accordance with these terms.